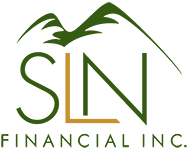 December 9, 2015 - 3 End-of-Year Tax Tips | SLN Financial, Inc. If you haven’t contributed the maximum to your Individual Retirement Account (IRA) or workplace retirement plan for 2015, now’s the time to take advantage of those opportunities to save. Not only does your money grow tax deferred, but deductible contributions can help lower your tax burden. Though you technically have until April 2016 to make IRA contributions for 2015, don’t give up on months of potential growth by procrastinating. In both 2015 and 2016, you can contribute up to $5,500 in an IRA (plus an extra $1,000 if you are age 50+). Gifts to qualified charitable organizations may be deductible on your tax return if you itemize deductions. These deductions can help you lower the effective cost of your donation. For example, if you’re in the top federal income tax bracket of 39.6%, a $100 donation effectively costs $60. To qualify for special tax treatment donations, they must be to charities that meet IRS requirements. If you received some consideration for your donation (such as a charity dinner), you can only deduct the amount that exceeds the value of what you received. You must keep records for each donation – typically a written acknowledgment from the organization is required. Beat the tax season rush by getting your paperwork together before April. Whether you’ve made deductible home improvements, earned money on a hobby, or donated to charity, make sure that you have all the receipts and documents you need to back up your claims. Now is also a good time to consult a tax professional about your personal situation.